Why should cities attract talents? “Major, world-changing innovation arises in places where people from different fields collide”, says urban influencer Mikko Särelä. In attracting talent, the aim is to increase networks of this type. ”The last 10,000 years have been a period of urbanization”, says D. Sc. (Tech.) Mikko Särelä, project manager at Aalto University. He used to work as a project manager for Aalto Living+ platform, which focuses on human-centered living environments and urban development as well as the digital revolution and how it affects cities. Aalto Living+ is Aalto University’s multidisciplinary collaboration platform, which aims to make use of urban research in people’s daily lives. Särelä sees cities as the first platform in the history of the world that brings together different types of producers and consumers. “And why do platforms exist? Because they bring network advantages.” These network advantages are enhanced by the increasingly important role of cities. In this sense, it is logical that cities should attract talent. In attracting talent, the aim is to increase networks of this type. He adds that today no one thinks like back in the 90s: that the Internet would make cities irrelevant. Even a game company wants its CEO to live in Finland despite the fact that contacts could be kept via conference calls. In his free time, Särelä is a proactive urban influencer. 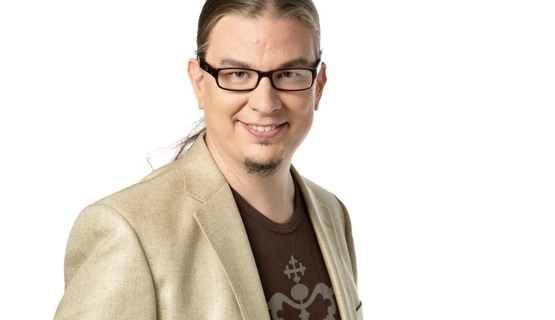 He is the founder of the popular Lisää kaupunkia Helsinkiin (Engl. transl. More city into Helsinki) Facebook group, an active discussion forum on urban planning with more than 17,000 members. With Särelä leading the way, many of the participants know the future plans for Helsinki better than their own pockets. According to Särelä, Helsinki has ”an immediate deficit of 15,00 coders”. How would he attract talent to the city? It is interesting that Nordic cities without separate expat areas or fenced-off living enclaves for the rich as such score top marks in city rankings. In Helsinki, foreigners eagerly mention the fact that their children can go to school themselves by bike, tram or metro. Safety is a value in itself, but it also allows children to learn to become independent, as they get to take responsibility for themselves from a young age. What other perks are there in Helsinki besides safety? Finns who move abroad often complain on social media about their struggle with bureaucracy, complete with: “So missing Finnish officials!”. The value of functional bureaucracy is not often seen until it is gone. About 15 percent of Helsinki’s residents come from outside Finland. Although the figure is on the increase, there are still practices in place in Finland that favor its own citizens in getting jobs, such as a so-called means test. Considering the advantages of internationalization and networking, this can be seen as shortsighted. It is in the interest of cities to raise their profile in networks. Where the 1900s were still governed by agreements between states, world trade is now largely based on urban networks. It is in the interest of cities to raise their profile in networks. Cities may not be able to influence geography, but they can influence their role. Let’s take the plan for a tunnel between Helsinki and Tallinn as an example – a dream of Helsinki city planning, and an expensive but appealing idea. Särelä says that if Helsinki manages to become a gateway and bridge between Europe and Asia, it could become a place for taking care of Baltic activities in global operations. This story is part of Talent City article series, read the long form How to Attract Talents.